The second part of my blogs on working for TACET records focuses on the press release. Press releases tend to be short and pithy and I often get asked to translate them at fairly short notice. Peng! – ein Luftballon platzt. Peng! – ein zweiter. Und dann purzelt eine Menge bunter Melodien von der Bühne des Concertgebouw Amsterdam. Das Nederlands Philharmonisch Kammerorkest spielt frech wie kleine Kinder auf der Straße. Der langsame Satz glüht innig. Dem Publikum geht das Herz auf. Ist das wirklich Charles Gounod, der Langeweiler mit dem Ave Maria? Alle lauschen gebannt einem Feuerwerk aus Ideenreichtum, Instrumentationskunst und Spielfreude und staunen, wie es dem Geiger Gordan Nikolic gelingt, in all dies eine Atmosphäre des Geschehenlassens hineinzuzaubern, die den Hörer zu nichts zwingt und doch unwiderstehlich ist. Bang! A balloon bursts. Bang! A second one. And then a whole bunch of colourful melodies tumble from the Amsterdam Concertgebouw stage. The Netherlands Philharmonic Chamber Orchestra plays as boldly as little children in the street. The slow movement glows inwardly. The audience’s hearts are filled with joy. Is that really Charles Gounod, the boring one who wrote that Ave Maria? Everyone listens spellbound to a cascade of rich ideas, artful instrumentation and the sheer joy of playing. They are amazed how, in the midst of all this, the violinist Gordan Nikolic manages to conjure up an atmosphere of simply letting it all happen, which doesn’t demand anything of the listener and yet is completely compelling. Anyone checking the word Diapason in a German to English dictionary would discover exactly the same word in English. As this is not a particularly well-known word, you may decide to look for an English definition: “An organ stop sounding a main register of flue pipes, typically of eight-foot pitch” or “A grand swelling burst of harmony.” (https://www.oxforddictionaries.com/definition/english/diapason). An alternative check on the French translation yields: “tuning fork” (http://dictionnaire.reverso.net/francais-anglais/diapason). In fact, it is this word that yields the award of “5 Stimmgabeln” [5 tuning forks]. So the unwary may have translated the above phrase as “awards such as the 5 tuning forks of the French magazine ‘Tuning Fork'”. Not exactly wrong, but I’m sure you would agree with me that this sounds faintly ridiculous! has already received numerous awards on CD, such as “5 tuning forks” (5 stars) from the French magazine Diapason. Hopefully this has given you a flavour of my work with TACET and highlights once again the need for a sound knowledge of the relationship between SL and TL as well as a specialist knowledge of the subject area the translator is working in. As I approach the summer holidays, I thought I’d reflect a little on my work for one of my principal translation clients, TACET records, based in Stuttgart, Germany. I started working for TACET back in November and my work for them encompasses CD booklets, press releases, website material and the odd bit of editing. Today I’m going to talk about my work translating CD booklet texts. So far I have translated articles for the Scarlatti series that TACET are recording with Christoph Ulrich and for an upcoming double bass CD. This is probably my favourite work for the company, as it’s here that I really get to combine my skills as a translator with my in-depth knowledge of classical music. I believe it’s absolutely vital that the translator in this field should have specialist knowledge. For example, one of my texts on Scarlatti talked about how his keyboard sonatas were early examples of the genre, and how these were to later develop into the Classical period of Haydn, Mozart and Beethoven. Sometimes the text will comment on a musical example, and it is much easier to find a suitable translation if you can read the musical quote, too, and thus set it in context. Occasionally I come across a well-known quote from music history. A recent one was Schumann’s heralding of Brahms as the next great thing. A musician would recognise this as a famous quote and I would always check how it has been translated in the past and whether a given quote has a “stock” translation. A translator with no musical background may not pick up on this. Terminology is also an important area of my work, as it is for many (if not most!) translators. An obvious example is musical terms. Musicians the world over use Italian for most of their musical directions. Often these appear embedded in the German text and it is important to know when these should be left as they are and when they should be explained further. 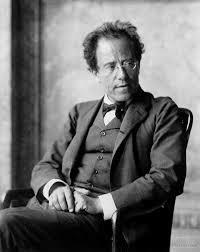 Likewise, some composers, such as Mahler, give their instructions in German. Sometimes I may choose to keep the original German in the text with a translation in brackets. Ornamentation is a key feature of Scarlatti’s music and something which TACET’s artist, Christoph Ulrich, talks about a lot. Again, my knowledge of musical styles helps me to select the best possible English term for these ornaments. I hope I’ve given you a quick flavour of how translating for classical music isn’t just a question of finding an equivalent word in the dictionary. It really is important that the translator knows about their subject matter. Equally, it’s not enough to be a musician who speaks German. Often these CD booklets have long, complicated sentences. Even my German musician friends have commented on the density of these texts. The skill of the trained translator lies in understanding the different structures and ways of building a text between the two languages and how to make a successful and flowing target language text from the original German text. I’ve just finished translating the lyrics for Berg’s “Seven Early Songs” and “Das himmlische Leben” from Mahler’s Fourth Symphony, which the RSNO will be performing on the 8th and 9th May. The texts are very different. I tackled the Berg songs first for two reasons: it’s the bigger text, but it comes in smaller chunks. The 7 poems are written by some of the biggest names in German poetry, such as Hauptmann and Rainer Maria Rilke. There is some really beautiful writing here. I particularly connected with Hauptmann’s “Nacht”. As a keen mountain sportsperson, I loved his depiction of a mountain landscape. I also loved Rainer Maria Rilke’s “Traumgekrönt”. He really is one of the best German writers of the turn of the 20th Century. which will be given by my good friend, Ursula Heidecker-Allen. It’s that last line – it is so laden with meaning! The Mahler text was a completely different and, I think, greater challenge. The challenge is to translate the text in a way that preserves the innocence and naivety of the words and yet doesn’t sound silly in the target language. The hardest bit was the verse where St. John allows his lamb to escape whilst Herod lies in wait. Quite brutal and yet totally innocent at the same time. As a translator, I also have to remember that the audience (or at least some of them) will read my translation whilst they listen to the concert. I therefore like to try and make it easy for them to hang onto the German text as it is sung. A little bit like subtitling, this means picking up on words that sound similar in both languages, sometimes playing around with the word order and, as far as I can, trying to keep line lengths pretty similar. This is where being a musician helps. You have an innate sense of flow and rhythm. It’s a huge challenge, but I love trying to make this balancing act work. Following on from my Mahler 8 translation for the RSNO last season, I’m delighted to say that I’ve been commissioned to write the translation for Mahler 4 for the concert in May 2015. The text is from “Des Knaben Wunderhorn”, so once again a text from the 19th century tradition. I’ve just completed and submitted my translation of Part 2 of Mahler 8 for the RSNO’s concert in May. As with any translation, it’s been quite a voyage of discovery, so I thought I’d share some of the decisions I had to make along the way. I always find it takes me a while to really slot into the register of the text, and it’s one of the things that I always need to revisit once I’ve got into the text. In this text I had to decide to what extent I wanted to reproduce the nineteenth century style of the text in translation. This became an issue particularly with regard to the biblical sections of the text. Should I use pronouns such as “thee” and “thou” or should I go for the more modern “you”? In these sort of scenarios, the translator really needs to go back to their skopos or brief. As my primary goal was to go for a semantic translation, I decided on “you”. The translation is designed to be followed by someone listening to the symphony and I want them to be able to follow the meaning of the text quickly and easily without it distracting them from the music. The musician side of me coming out, I guess! My secondary goal was to get across some of the artistic content of the text and to respect its poetic register. To that end, I sometimes omitted the pronoun altogether: “You Merciful One” just does not sound right in context! At risk of opening myself up to being accused of inconsistency, the desire to replicate the poetic aspects of the text meant that occasionally I’d use more “opaque” terms. One of my readers asked if they were allowed to use a dictionary to check what “amosite” was. (If you’re interested, it’s an “iron-rich amphibole asbestos, mined in South Africa”!). I asked her if she’d rather I used the more transparent “asbestos” to translate “Asbest” and straight away she said no! Sometimes words have slightly different connotations in the two languages or their meaning and usage has shifted over time. In this case “asbestos” would have sounded fairly incongruous in a poetic text as we tend to think more of garage roofs when using that word! I used unrhymed free verse for my translation. I did use a thesaurus fairly extensively, but I was quite surprised that it wasn’t too difficult to produce a text that had a fairly even rhythm. I think there are two factors at play here: a) German and English belong to the same language group and b) I think as a musician I have a more developed sense of rhythm in a text than other translators. I also enjoy looking for that feeling of flow, which also helps. My final act before submitting the translation was to listen to the symphony and follow the text with my translation. It was a really satisfying thing to do actually, and I felt a real sense of achievement from it. I feel so privileged to be able to combine my two great loves – music and the German language. I hope that other people enjoy my translation as the RSNO performs Mahler 8. If you live in central Scotland, please do come along. The concerts are in Edinburgh on 30th May http://www.rsno.org.uk/whatson/?c_id=129&action=Read+More&month=3&year=2014 and Glasgow on 31st May http://www.rsno.org.uk/whatson/?c_id=127&action=Read+More&month=3&year=2014. Translating the final scene of Goethe’s Faust for Mahler 8 Programme. I’ve just started work translating the German part of the text of Mahler’s Symphony No. 8, which is taken from the final scene of Goethe’s Faust. Wow, what a challenge! Apart from the linguistic challenges of a 19th Century literary text, texts such as this have a translation history all of their own. I can’t just translate in a void. So how do I go about this task? First of all, I have to agree with the commissioner what kind of translation they want. For this text, I could concentrate on conveying the meaning or focus more strongly on artistic aspects of the text, such as rhyme and rhythm. Obviously (at least to me as a musician!) I need to listen to the musical setting of the text to get some understanding of its context. I also need a bit of history around the text of “Faust” as a whole and I need to know the outline of the story so that I know what this passage is referring to. In a literary text such as this, there may be words that are familiar to me, but in this context I may need to find alternative translations for them. In other words, I need to be sensitive to the register of the text. So far I’ve translated two stanzas very, very roughly. At this stage I try to translate quickly, getting an overall feel for the text. Often I will pencil in several alternative translations which I will revisit later. I’ll keep you posted as the translation progresses! The work on Opera and Drama continues! After taking a big breather after submitting my Masters Dissertation, I have made the decision, with support and encouragement from my friends in the Wagner Society, to carry on translating Oper und Drama. Part III is most familiar to me, so I plan to continue with Chapter V, the other chapter I considered doing for my dissertation. I will update you with progress! In the meantime, I am also busy writing an article for the RSNO for their Vaughan Williams 5 concert programme.